Sleaford Indoor Bowls Club’s men’s team started their 2017 programme with a tough away trip to County League title contenders Stamford. 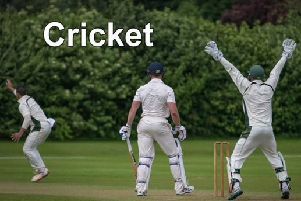 They were hoping to post good points on the board to give them a real chance of avoiding relegation from the top division, but Stamford secured a 127-68 victory, giving them 16 points which moved them into top spot. John Maury’s set of Bob Croyman, Michael Wareham and Tony Stanley dropped three shots on the first end, but recovered to stand at 6-5 after the fifth end. Stamford started scoring heavily over the next six ends to lead 16-10 and six shots on the 13th opened the gap to 22-12. The hosts then reeled off the last seven ends for a final score of 35-13. Jonathan Pearson with his set of Stephen Cornwell, Peter Annison and Richard Pearson never managed to get in front at any time over the 21 ends. The scoring was close until the last three ends when Stamford picked up 10 shots without reply to win 27-14. Paul Roberts with Roy Barnes, Adie Smith and David Bristow were level at 5-5 after six ends, and still in the game after 11 with the score tied at 8-8. This continued through to the 18th end at 15-15, but the Stamford set just found that little bit extra, taking five shots over the last three ends for a 20-15 win. Fred Collin, Bill Stevenson and Ron Pointon with Douglas Stobart as skip never really got going. The hosts ran out 29-5 winners in a bad day at the office for the Sleaford set. Sleaford’s one winning rink was Richard Barnes, Malcolm Brett, Gerald Pask and Waylon Clarke as skip. After six ends, Sleaford had established a narrow 6-4 advantage which they increased to 13-6 after 12 ends. Neither set gave way until the start of the 15th end when Sleaford scored two shots followed by a three and another two without reply to lead 20-10. Stamford pressured over the last four ends, but the visitors held their nerve to secure a 21-16 win and what could be a valuable two points for the team. The division is always a three-horse race and it will now come down to Spalding or Boston to challenge Stamford team for the top prize.